First certified civilian female Afghan pilot will attempt to become the youngest woman to fly solo around the world to promote STEM and aviation education to encourage women to believe in themselves and allow their dreams to soar. Daytona Beach, Florida (August 1, 2016) –Targeted for early fall 2016, Capt. Shaesta Waiz will begin her solo flight around the world. That’s 28 stops over five continents, in 18 countries, in 90 days – a total of nearly 25,000 miles flown. But it’s nothing compared to the journey this 29-year-old aviator – the first certified civilian female Afghan pilot – has already persevered. Born in a refugee camp in Afghanistan in 1987, Capt. Waiz and her family fled to America to escape the brutal Soviet-Afghan war, which was in the midst of ripping the two nations apart. One of six girls, Capt. 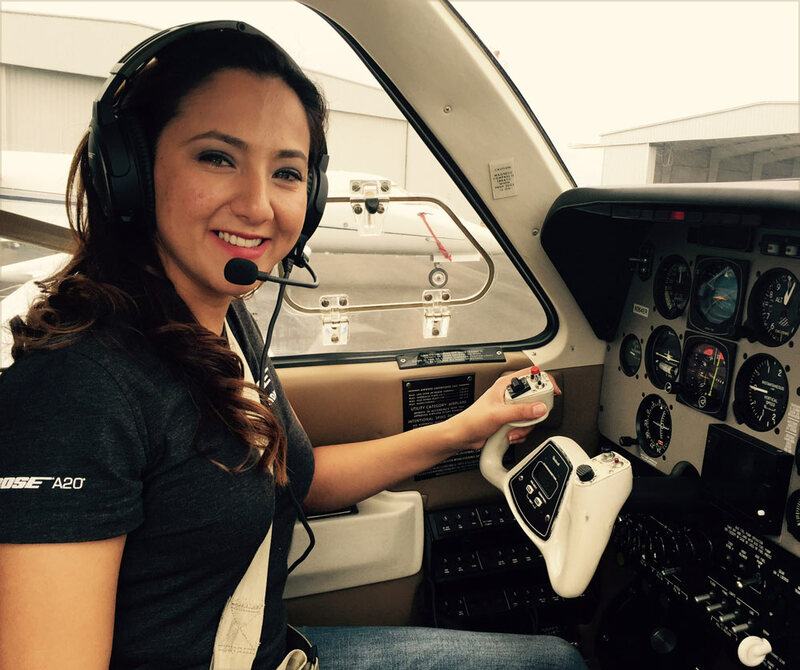 Waiz was raised in Richmond, California, where she discovered an interest in aviation. That’s when everything changed for her. While a student at Embry-Riddle Aeronautical University, Capt. Waiz founded the Women’s Ambassadors Program in 2011 to increase the female enrollment through a modeled mentor program. In less than three years, under her leadership, the program helped increase female enrollment from 13 to 22 percent. In an effort to encourage more women to pursue STEM (Science, Technology, Engineering and Math) and aviation degrees, Dreams Soar was born late 2014 by Capt. Waiz, now a non-profit whose goal is to partner with strong female role models along her upcoming route around the world, and together, promote the importance of STEM and aviation education, globally. “Every time I open the door of an aircraft, I ask myself, ‘How did a girl with my background become so lucky? The truth is, anyone can be me,” remarks Capt. Waiz. Capt. Waiz’s global solo flight for STEM will begin and end at Daytona Beach International Airport, and will include stops in Canada, Europe, India, Egypt, Thailand, Middle East, Singapore, and Australia. U.S. stops will include Columbus, Ohio, Grand Rapids, Michigan, Hilo, Hawaii, El Cajon, California, Phoenix, Arizona, Wichita, Kansas, Cincinnati, Ohio, Washington, D.C., Atlanta, Georgia, and Mobile, Alabama. The longest leg of the global flight is Hilo, Hawaii to El Cajon, California, one that extends to 2,184 nautical miles over the Pacific Ocean. Global Partners to this program include ICAO (International Civil Aviation Organization) and BendixKing by Honeywell. For a complete itinerary of planned stops, and bios on Capt. Waiz and the Dreams Soar team, visit Dreams Soar’s website: www.dreamssoar.org . Capt. Waiz is currently based in Daytona Beach, Florida.